A solid start to the next generation of laser tag gear. 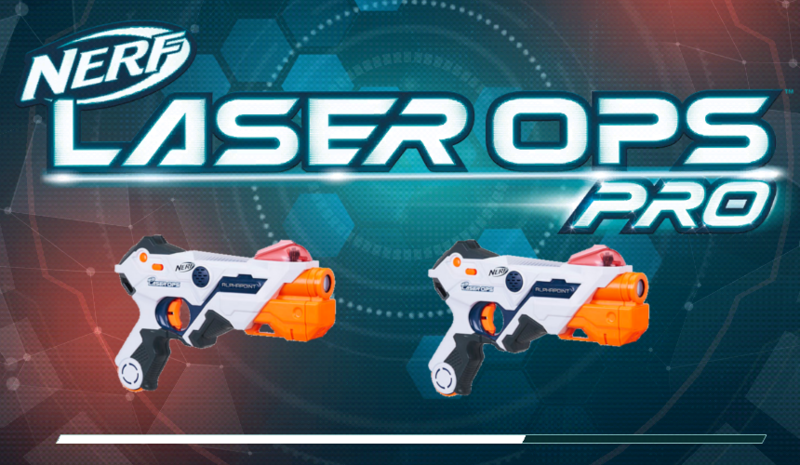 Among Hasbro’s fall releases this year was an unexpected item – a new version of laser tag gear. Following previous iterations under both the Tiger Electronics and Hasbro brands, the Laser Ops series aims to enable play that is easy to pick up and use without any outside gear, but can be substantially upgraded when paired with smartphones. To that end, the first blasters in the line largely succeed. The Laser Ops Alphapoint is your basic pistol; pulling the trigger gives you one shot. A panel on the back uses three-color LEDs and flashing to denote your ammo count and health. A light bar on top indicates your team (red/blue) or free for all play (purple). The receiver dome sits just above the infrared (IR) emitter in the barrel; no vests are used, as you target the blaster. 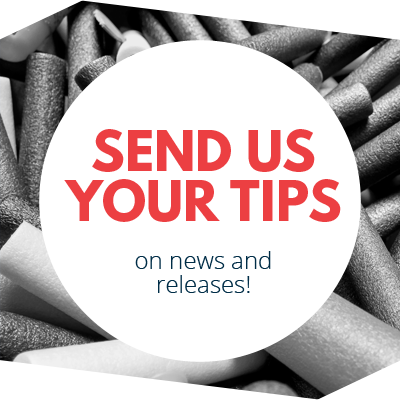 The reload button sits at the bottom of the grip. Four “AA” batteries, sitting at the front, power all of these functions. 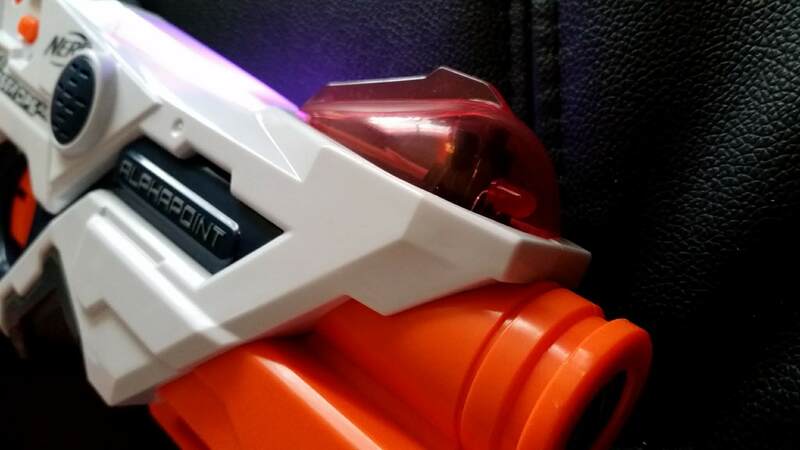 The shell of the Alphapoint has the same solid feel as any Nerf blaster. The handle is large and comfortable, with some contouring that may favor smaller hands. All of the relevant buttons have the necessary movement for a pleasant use; the trigger moves a bit and clicks, reloading is its own motion, etc. However, the iron sights are very wide-set, which seems odd for a blaster without need for any sort of compensation in aim (light travels straight, generally speaking). Even so, this is only a minor aesthetic concern. The Power button sits on the right side, as does the indoor/outdoor switch. This switch increases the IR beam intensity for daytime play, when things like sunlight could interfere. In theory, you could use this for longer range at night…but assuming normal play conditions, you should be able to have consistent play at ranges of 200′. The Laser Ops blasters are easy to pick up and start a game with. When you turn it on, you can use the “reload” button to cycle through team options, then press the trigger to start. It’s that easy. Note that purple is the free-for-all option, and that “purple team” blasters are unable to interact with blue or red blasters. There isn’t an option for rogue players, I’m afraid. Once all blasters are locked in and ready to play, you can shoot each other as long as you like. Blaster hits are made obvious via the dome lighting up red, and player “deaths” are accompanied by loud music. The sound is not optional, so don’t be using these in the library. Players can respawn back in relatively quickly, if you prefer keeping people in the game. The real bonuses begin when you pair the blasters with a smartphone(s) via Bluetooth. Using a single phone (with App), you can organize games with time limits, and use the stats at the end to determine winners. In addition, you can use large numbers of blasters (on the order of online multiplayer games) in the same game. If each person has a phone, you can use further options, like in-game GPS and power-ups. It’s at this point where players can earn experience playing against each other for blaster “upgrades” like shot power, faster reload times, or team healing (shoot your friends!). All Laser Ops blasters come with “gel” phone mounts for mounting the phone to your arm during play. 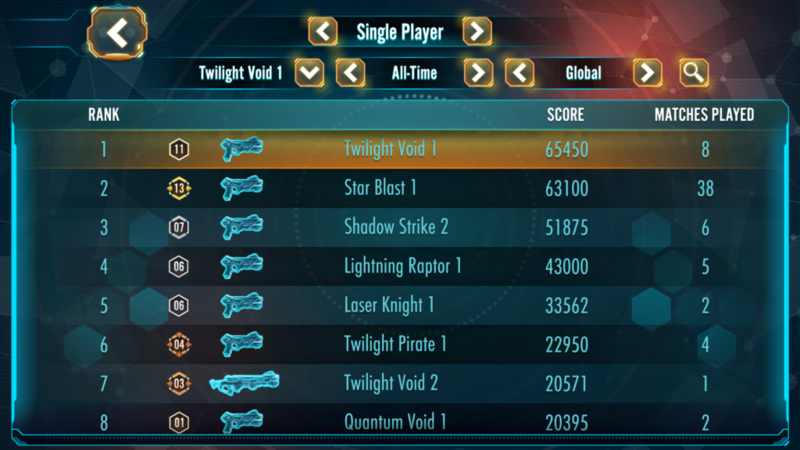 Twilight Void is the name on my blasters. Leaderboard as of 7/23/18. Smartphone users without friends nearby can also use a single-player mode, involving a continuous spawn of attack drones. The game overlays itself on your main camera feed, allowing for an “augmented reality” experience. After pairing your blaster and picking the powerup you want to use, shoot the drones until they explode and reload as needed. Enemies spawn faster as time goes on, and have more health to drain before being destroyed. Single player allows for the accumulation of experience points outside of multiplayer; some options for upgrades (respawn time, for example) can’t be used in single player but are applicable to multiplayer, for instance. The entire experience is also very well done, with hiccups only occurring so far when my older phone was trying to do lots of things at the same time. It should be noted that single-player packs of Laser Ops blasters come with a barrel attachment for mounting your phone. The double pack does not. It doesn’t make single player impossible, but it does mean you’ll probably be holding the phone in one hand while firing with the other, and reloading by pressing the handle against something. 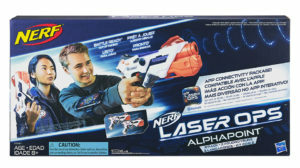 The Nerf Laser Ops Pro Alphapoint is a great starting blaster in this new line. 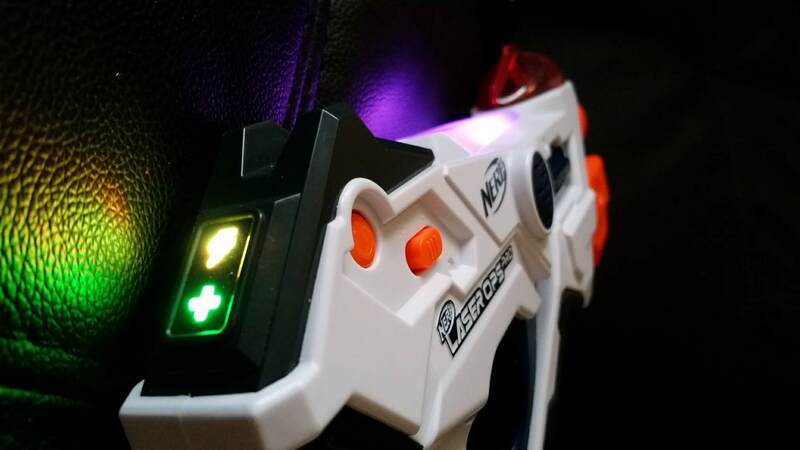 It has the feel of a Nerf blaster, and laser tag games can be organized straight out of the box without any extra gear. Having smartphones on hand, meanwhile, serves to augment and upgrade the experience, while also allowing single-player games. It’s a complete system with room to expand in both game types and blasters (there is also a burst-fire “rifle”, the Deltaburst, available). It should be noted that these are not backwards-compatible with previous laser tag products. Fans of older systems will see this as a downside, but the new ecosystem is polished and easy to use. 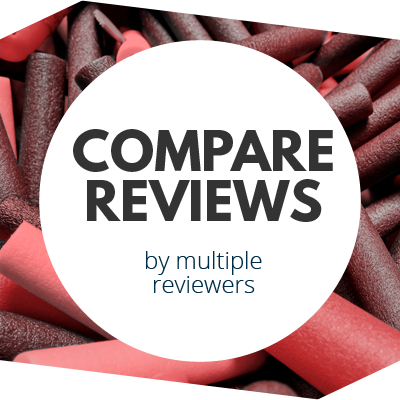 This entry was posted in Laser Tag, Reviews and tagged 2018, alphapoint, blaster, blaster hub, hasbro, laser ops, laser tag, nerf, review on July 24, 2018 by BuffdaddyNerf. I am interested in these but I’d likely be playing with some friends with disabilities like hand control. When playing with the blasters in either single or multi phone mode, what happens if someone accidentally shuts their blaster off? 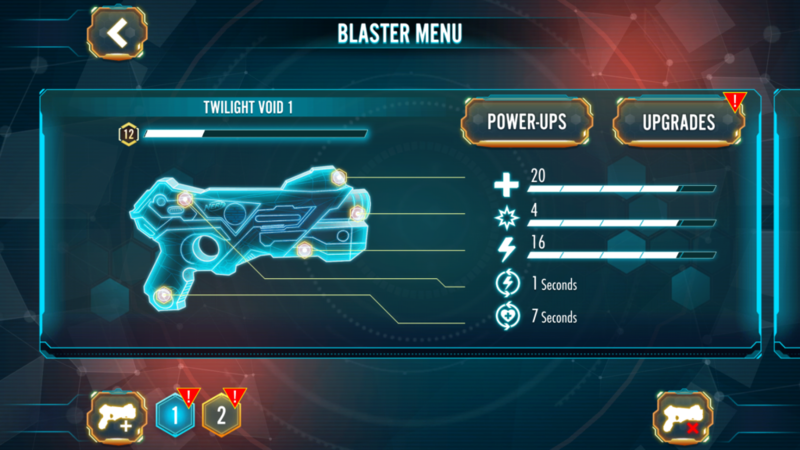 Will the blaster retain it’s game settings assigned from the phone or does that get cleared out? I was a huge fan of the Tiger Electronics laser tag system some years ago, which synced to eachother and could connect to a host blaster to send custom game modes to the other blasters, and even had a timer to check for cheaters in quick play mode. Im wondering if these would be a good upgrade or if I should just stick some AA’s into my older laser tag blasters. If everyone uses their own phones, I’d say it’s a definite upgrade from older systems. Doing so lets you use powers and customize the blaster’s stats (clip size, shot power, respawn time, etc.) 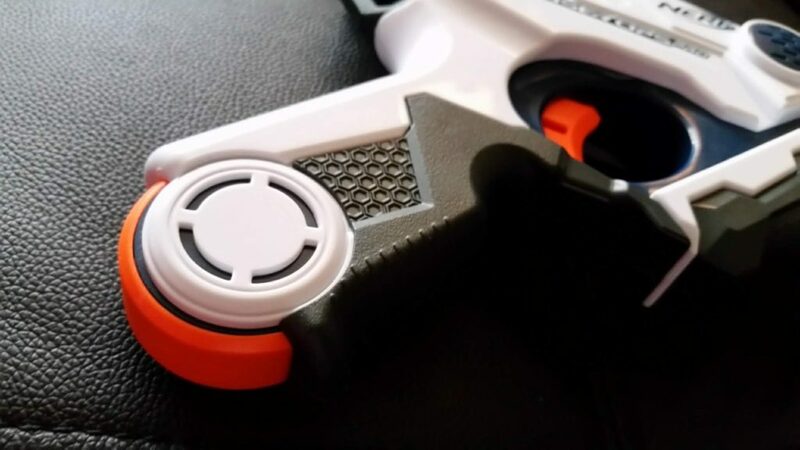 It also takes some effort to accidentally shut the blasters off, since the power button is on the side of the blaster well above the trigger. But yeah, I think if you shut the blaster off mid game, it loses it’s progress and gets removed from the game. We got 3 of these laser ops pros alphapoint for our kids for Christmas. One of my sons phonephones keeps telling him he needs a gyro to use his phone .What does that mean and what do we need to do? Some phones have a gyroscope in them, some don’t, and this isn’t something you can change without getting a completely different phone. Good news though, you should only need a gyro-equipped phone for the single player game – it should still be perfectly fine to use for multiplayer games.